Wow. 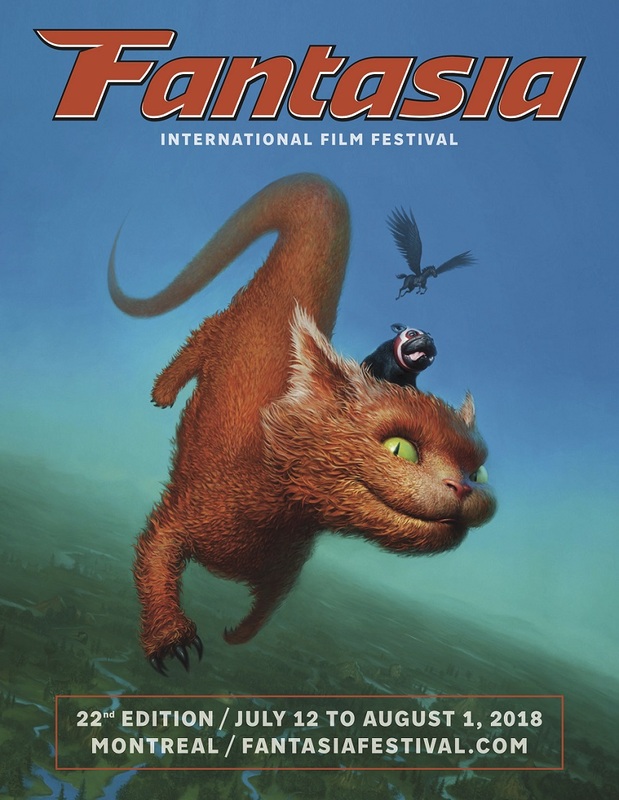 Are we talking about Fantasia already? We are barely out of the deep freeze of Winter so we imagine the Fantasia staff have emerged from their burrows and have good news to share with us. The first bit is that the wonderful work of Donald Caron is again on full display in this year's poster. Caron's work is nothing short of magical and every year's poster is better than the last. The second bit of news is that the festival has announced the first two titles to play this Summer. Likely surprising no one, Summer of '84, the second feature film from those crazy kids at RKSS (Turbo Kid) are bringing their thriller home to the Montreal crowd. Honestly, if Summer of '84 were not playing at the festival we may have had to reconsider which gods we prayed to each night because clearly the current ones were not listening. And to showcase the crop of emerging filmmakers in Montreal there comes the omnibus horror flick Montreal Dead End. 18 filmmakers from around Quebec are showcased in this horror flick that just had its world premiere in Brussels. As per usual we will be keeping an eye and ear out for program announcements as the weeks lead into Summer. The family here at Screen Anarchy is already preparing ourselves to give you the best coverage our livers can muster after a couple days at the festival. Stay tuned.